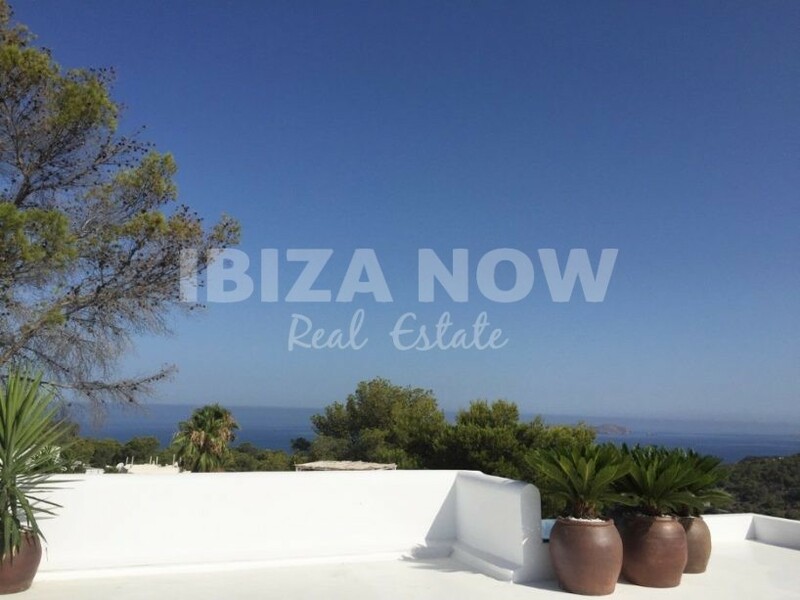 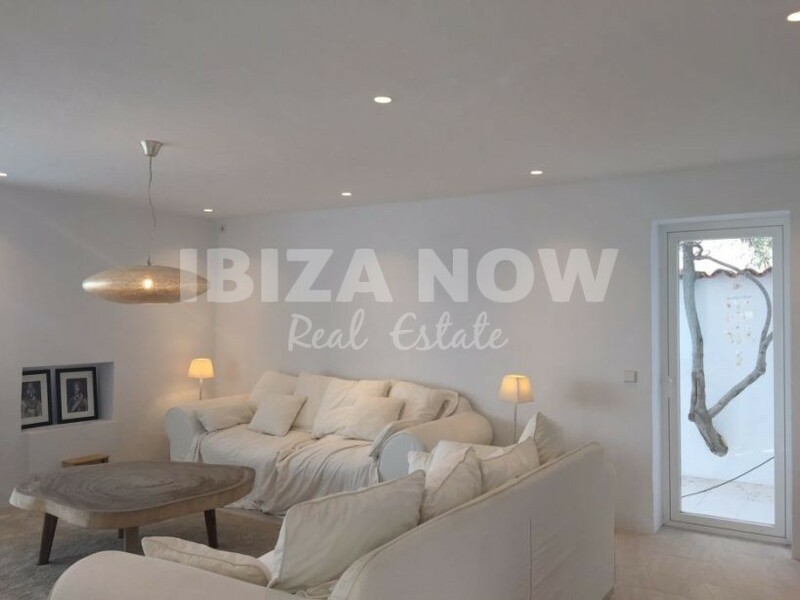 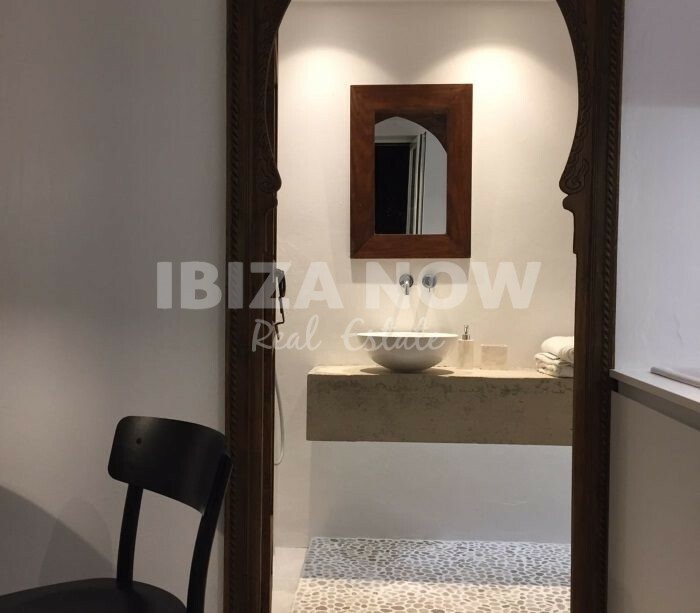 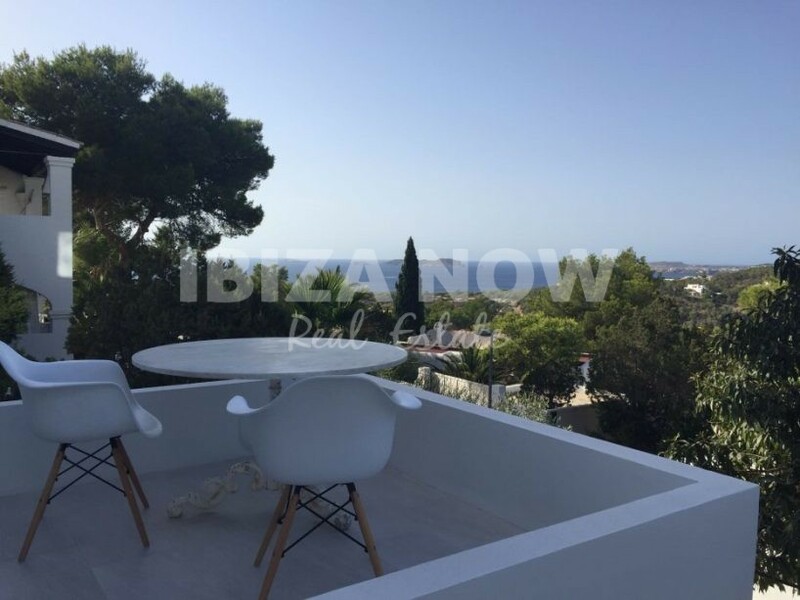 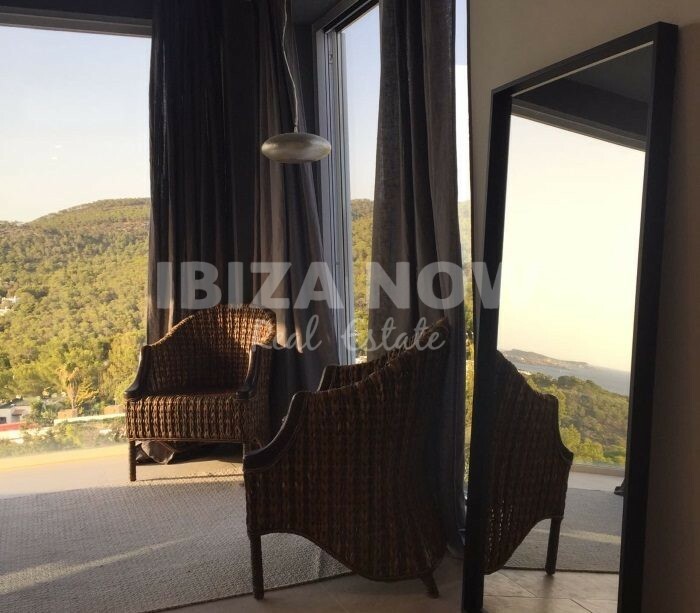 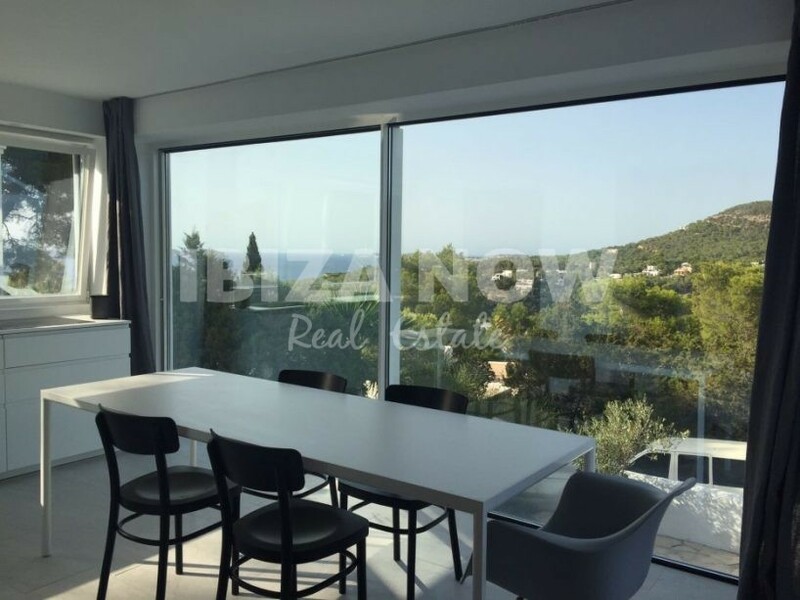 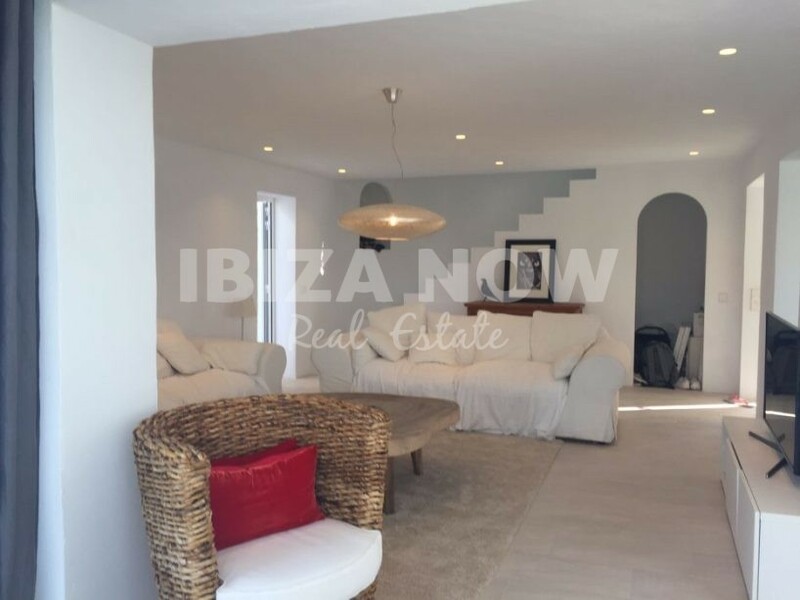 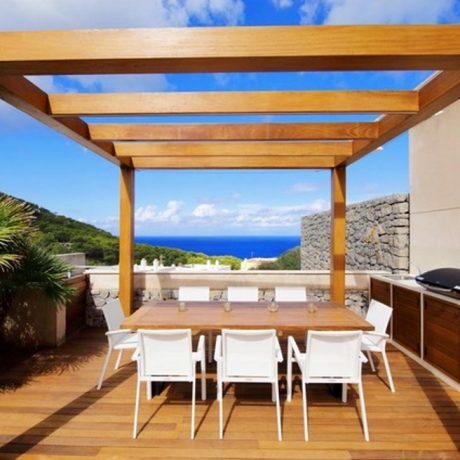 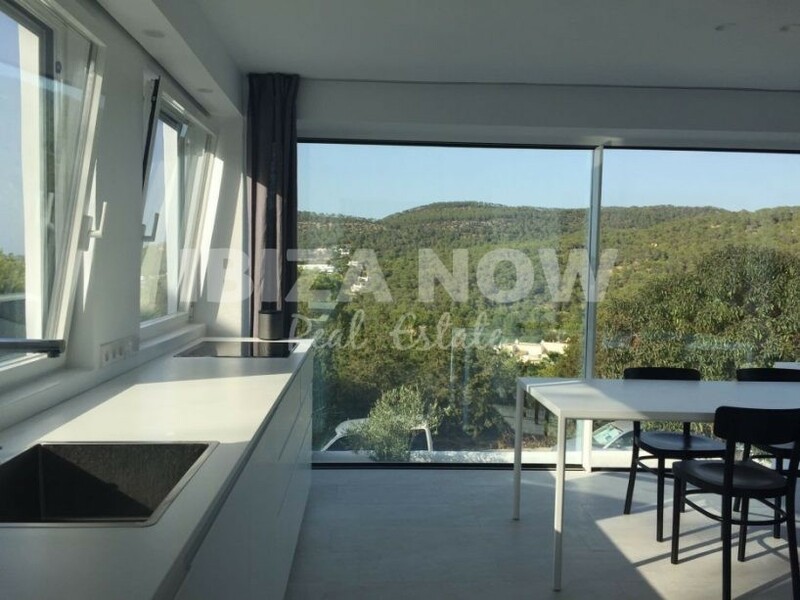 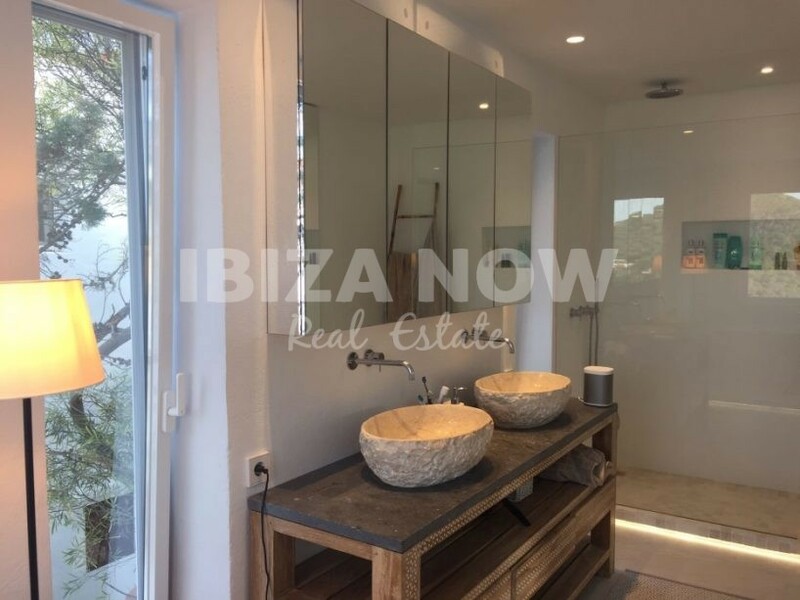 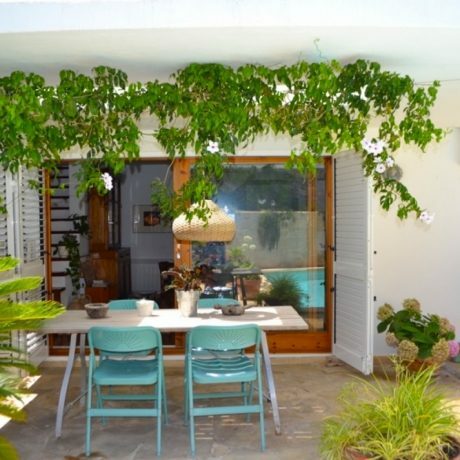 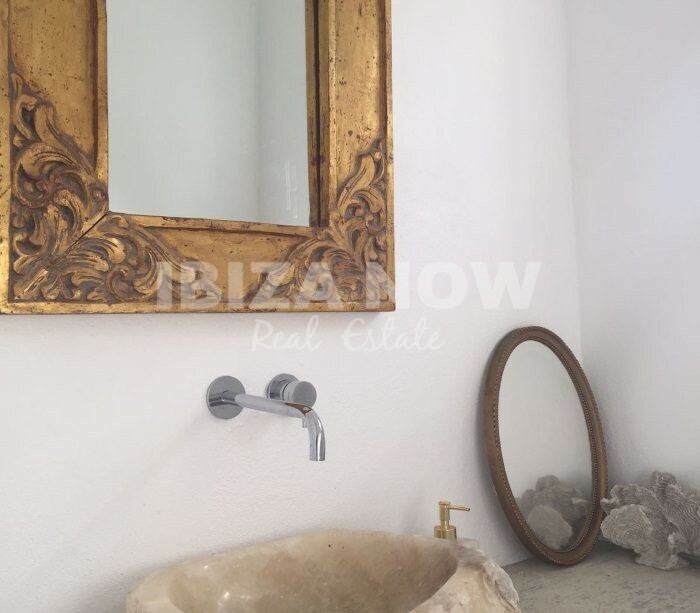 Modern 3 bedroom house for sale in Cala Vadella, Ibiza. 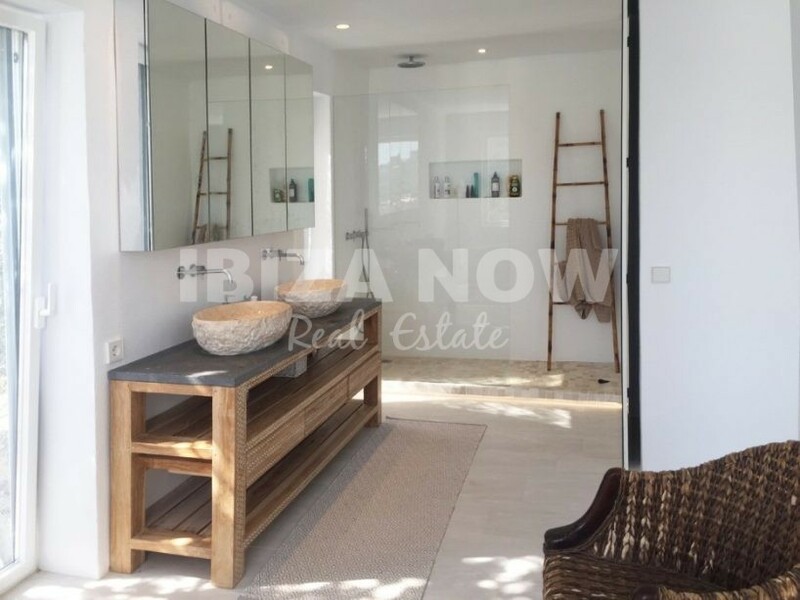 This modern 3 bedroom house has recently been renovated into what it is today. 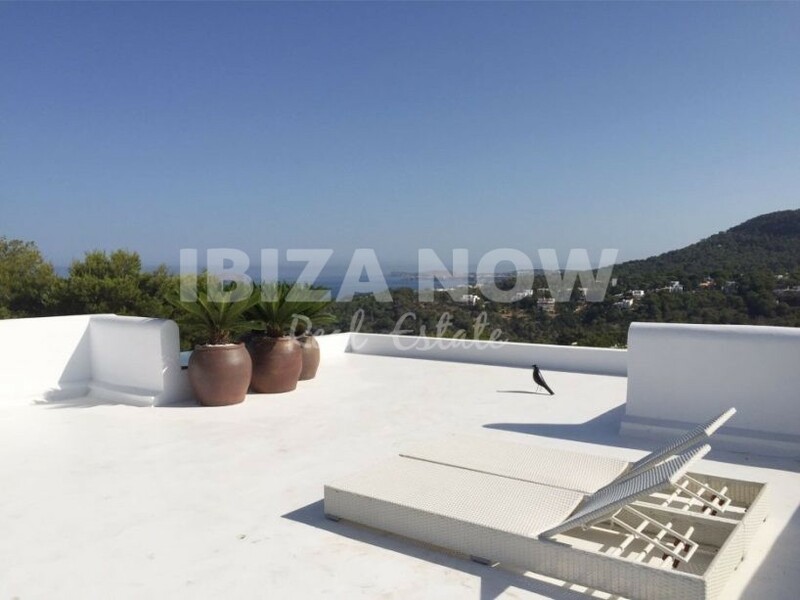 Set on a plot of 400m2 and with a 230m2 build, divided over 3 floors. 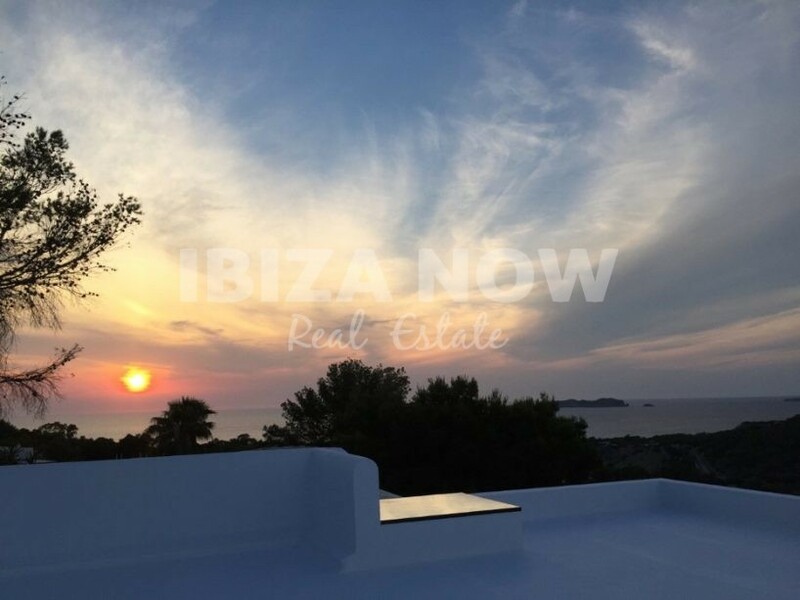 Located only a few minutes from the bay of Cala Vadella and with a North orientation and beautiful panoramic views. 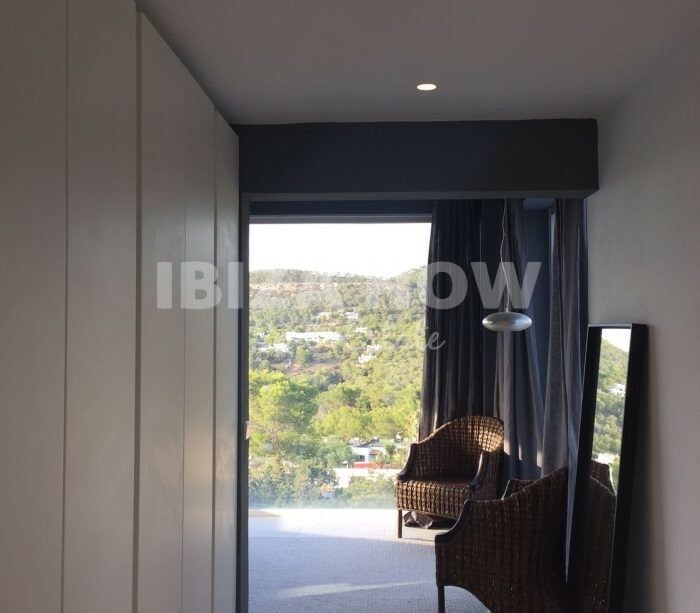 On the ground floor, we find a guest apartment with living room, small open kitchen area, bedroom, bathroom with shower and a spacious terrace. 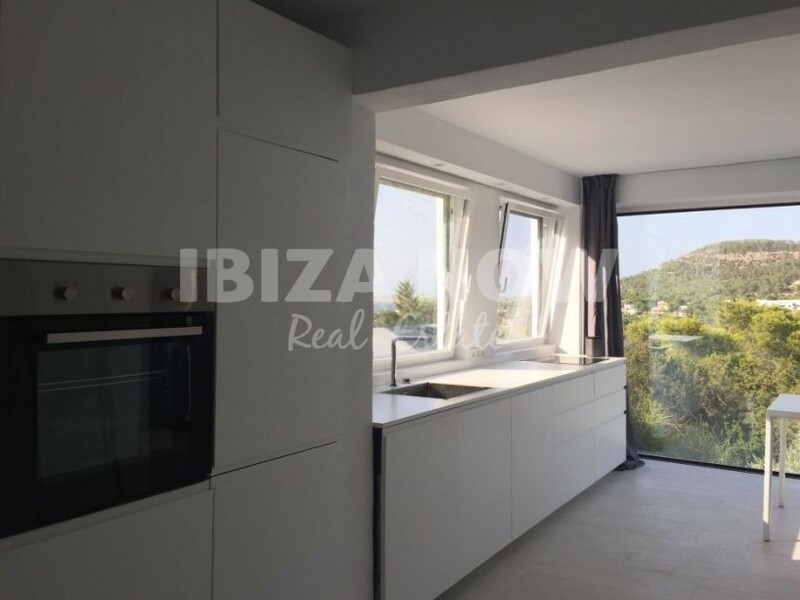 The living/dining area with open kitchen, guest toilet, and storage room, we find on the first floor. 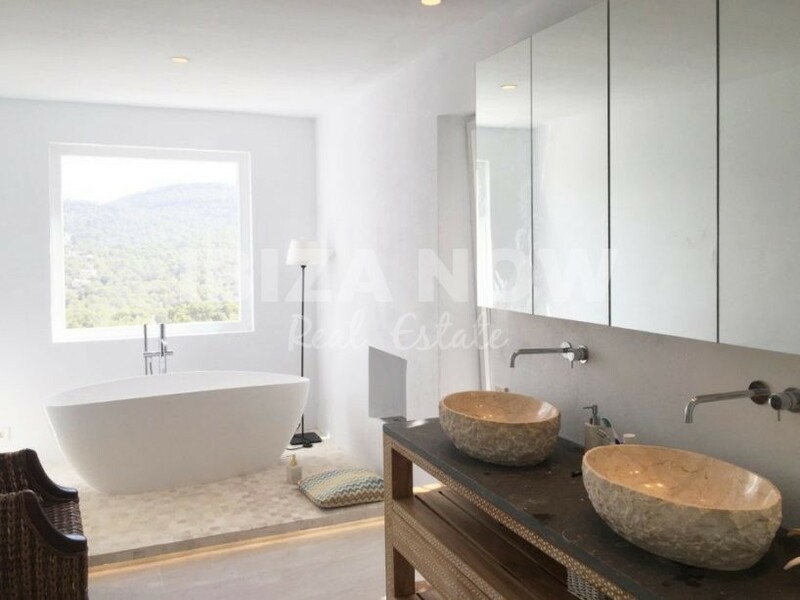 On the second floor, we have the master bedroom with ensuite bathroom and large dressing room. 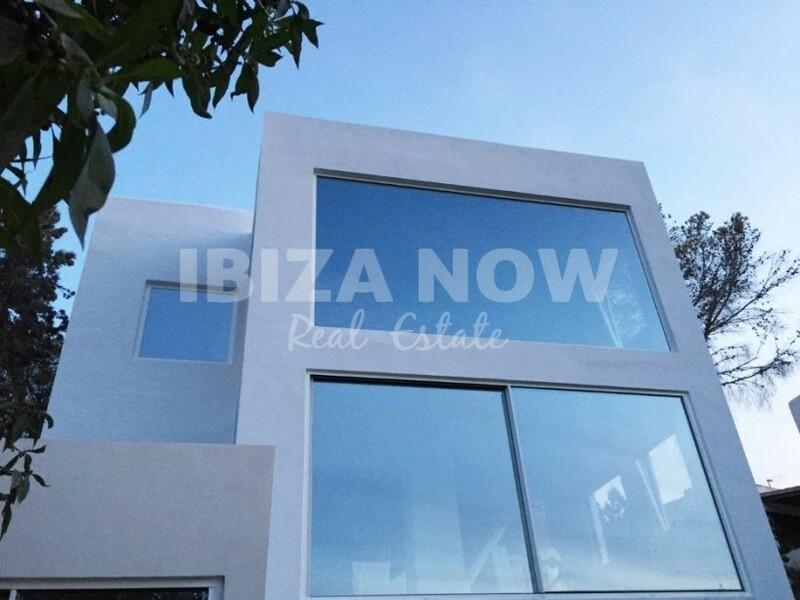 Furthermore, the house has double glazing and all windows are slightly mirrored and with UV protection, a fireplace, underfloor heating, several terraces and air conditioning warm and cold. 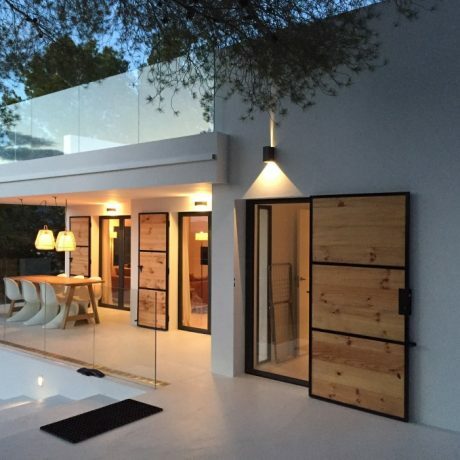 A nice modern house with lots of natural light and amazing sea and sunset views. 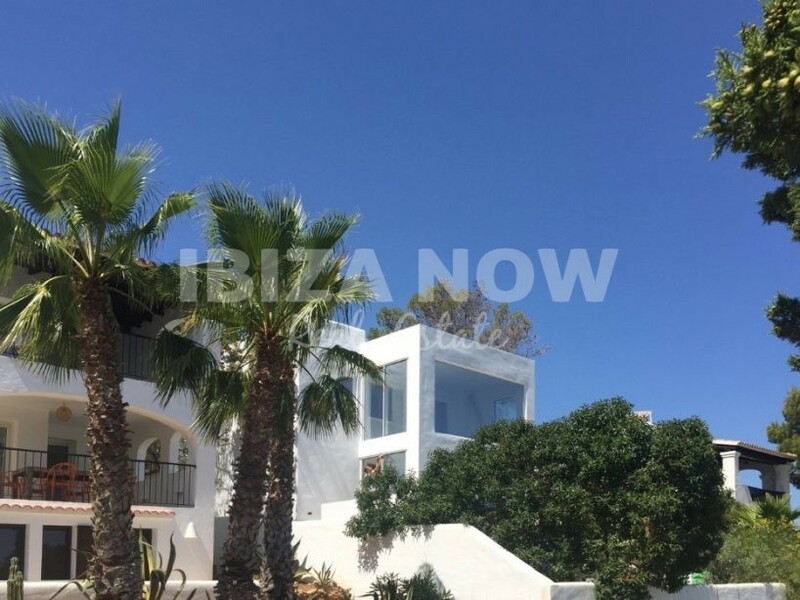 The house will be sold with a swimming pool as the project has just been approved.